Samantha is an 19 year old senior at EWU majoring in Children's Studies. Her goal is to become a Certified Child Life Specialist and work with children in hospitals, helping them adjust to their diagnoses and procedures. 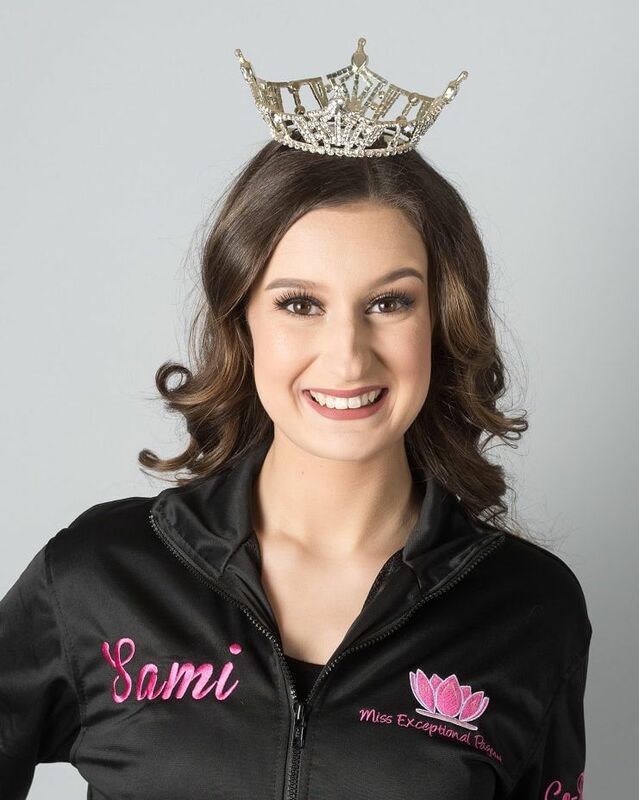 Sami has been competing in pageants since she was 9 years old, where she found her passion for all things pageant. She is the current Miss Greater Tacoma USA and hopes to one day compete on the Miss USA stage. She loves her pageant platform, Live Unlimited: Miss Exceptional. She created Miss Exceptional to build confidence and friendships through pageantry for girls of ages and abilities. Beth is a certified Registered Nurse at Good Samaritan Hospital. She has helped her daughter, Sami, compete in pageants since she was 9 years old. She is also a mother to Cole (16), who has autism and a neuromuscular disorder. She serves as the Vice President on the Board of Directors for the Exceptional Families Network. She is passionate about helping girls find confidence and fun with Miss Exceptional. When she is not driving her son to high school, helping her daughter with her pageantry, volunteering for Miss Exceptional and EFN, you can find her studying for her Masters of Science in Nursing degree at WGU. Brielle is our 2016 Miss Exceptional Teen. She wanted to continue to help the Miss Exceptional program as a volunteer. Brielle is 14 and a wonderful addition to our staff. She is about to start her Freshman year of high school and enjoys helping the Exceptional Families Network as a volunteer at their Sunday Funday activities. Aurora was Sami's Pinecone Princess in the Miss America Organization and also participates in pageantry. Aurora also enjoys volunteering for Miss Exceptional. She has brothers with special needs and loves giving back to her community as the Exceptional Gentlemen Coordinator. Aurora is about to begin her first year of Junior High School and will be competing for the title of Miss Pierce County's Outstanding Teen in November.